The #1 reason most people go to a chiropractor initially is because of some sort of pain. 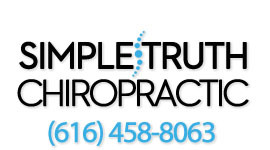 Whether it be low back pain, neck pain, headaches migraines, feet/knee or elbow/shoulder pain. During the initial phase of care, also known as the acute care phase, the first goal is simple. It's to get the person out of pain and reduce the symptoms down as much as possible. This first phase may require daily visits, or only 1-2 visits per week. It is totally dependent on the severity of your condition. The interesting part is that even if you don't have pain, you may still have underlying dysfunction in your spine and nervous system. Pain is the worst indicator of a healthy person possible. Most people think that because they have no pain, they must be healthy. Only 9% of the nervous system is actually dedicated to pain. For that reason, you can have a problem and not feel any pain. For most women that get breast cancer, they had no pain in their breast. One day they just found a lump there. According to the american medical association, that lump has been forming for 20-30 years before it was actually felt. Let's use cavities in the mouth as another example. Let's ask a question. Does the tooth hurt when the cavity first developed, or after the problem became extremely serious. Pain usually disappears very quickly when you begin the chiropractic care process, but the healing only starts with removing pain. To continue reading about the various phases to chiropractic care, please click here for Phase 2.